Mark Bauman concentrates his trial practice in the defense of professional liability (architect/engineer, medical and legal), products liability, construction, wrongful death and class action claims. His assignments routinely include the defense of physicians in medical malpractice claims, lawyers and accountants in negligence claims, manufacturers in product liability claims and defendants in class action litigation. 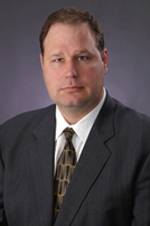 Mr. Bauman's legal experience began in 1984, and has demonstrated an emphasis on successful trial work. His career has included the successful defense of prominent physicians, accountants, lawyers and companies, including The Maryland Insurance Group, The Hartford, General Electric Company, The Overhead Door Corporation, Norwegian Cruise Line, Monsanto Corporation, US Bank and the Brunswick Boat Group. Mr. Bauman has recorded numerous trials to verdict, averaging between two and four trials to verdict each year. Mr. Bauman is a member of the Leading Lawyers Network, where he was selected by his peers as a Leading Lawyer in the areas of Medical Malpractice Defense, Personal Injury Defense: General, Products Liability Defense and Professional Malpractice Defense. Before joining Hinshaw & Culbertson LLP in 1986, Mr. Bauman practiced for two years in the Belleville firm of Wagner, Bertrand, Bauman & Schmieder. Leading Lawyers, Problem Solvers Award for Medical Malpractice Defense; Personal Injury Defense: General; Professional Malpractice Defense List. The following are among the successful and significant cases that Mr. Bauman has tried to verdict. In Jackson County, Illinois. (Medical Malpractice claim for $860,000.00. Result: Jury Verdict for defense on all counts.) Our client, a podiatric surgeon, performed a retrocalcaneal exostectomy procedure on the Plaintiff's left heel. This involved a partial Achilles tendon release and reattachment using collagen implant anchors. The Plaintiff had complications postoperative, including a foreign body reaction to the anchors. This resulted in two subsequent revision surgeries, and a claim of permanent chronic pain and suffering and partial disability. Plaintiff also claimed lack of informed consent. The defense was based upon a denial of any deviation of acceptable standards of podiatric care. The defense was also based upon the assertion that appropriate informed consent was obtained. After deliberation, the jury returned a verdict in favor of Defendants on all Counts. Cherry Gamble v. Howard Jackson, DPM, St. Clair County, Illinois. (Medical malpractice claim for $500,000.00. Result: jury verdict in favor of defendant after deliberating only 10 minutes.) Plaintiff, Cherry Gamble, was treated by podiatric physician Dr. Howard Jackson beginning in February 2001. Plaintiff had a lesion on the bottom of her right foot, which caused her to walk with a limp. Dr. Jackson performed surgery to remove the lesion, which was termed a porokeratosis. Plaintiff had a protracted recovery and the lesion returned. Eventually, she sought the care of another podiatric physician, Dr. Sharon Brooks, who opined that Dr. Jackson had deviated from acceptable standards of podiatric care in the way he performed his procedure. Dr. Brooks criticized Dr. Jackson's surgical skills, indicating that he performed his excision procedure too deeply, and injured the plantar fascia of the plaintiff's right foot. By the time of trial, there were physicians on both sides of this opinion. Dr. Jackson, his expert and another subsequent treating physician felt that Dr. Jackson had performed his surgery properly and that plaintiff's problems at present were simply associated with a returning intractable plantar keratosis or porokeratotic lesion. Plaintiff's damages were associated with her inability to ambulate in anything but special shoes, and a claim of constant pain and suffering. Plaintiff's attorney, at the time of trial, claimed that she should be entitled to at least $100,000.00 for each year since the surgery in February 2001 to compensate her for pain and suffering, and also she should receive her medical expenses of $12,000.00 as well as damages for disability and disfigurement. Overall, plaintiff was asking for approximately $500,000.00. The jury returned a verdict in favor of defendant, Dr. Jackson, after deliberating only 10 minutes. Arnold v. Gitersonke, et al., Madison County, Illinois. (Medical malpractice claim for $1 million. Result: jury verdict for defense.) Our client, a podiatric surgeon, performed osteotomy surgery and surgical excision of a lesion on the left foot of plaintiff. Complications arose, including return of the lesion, alleged loss of sensation, and alleged excess scar tissue formation. Plaintiff underwent a series of plastic surgeries by other practitioners thereafter, ultimately culminating in a free flap graft procedure where tissue was taken from a donor site on the plaintiff's left arm and grafted to the bottom of her left foot. The defense was based upon a denial of any deviation of acceptable standards of podiatric care. After deliberation, the jury returned a verdict in favor of all defendants. Ferguson v. Shell Oil Company, et al., Madison County, Illinois. (Structural Work Act claim for $6 million. Result: jury verdict for defense.) Our client, a carpentry construction firm under contract with Shell Oil Company, erected a scaffold for use by plaintiff in a construction project at the Shell Oil Company Wood River plant. The scaffolding collapsed, causing plaintiff to fall 16 feet and strike the right side of his face and head on the concrete floor. Plaintiff's injuries included fractures of several bones in his face and an alleged closed head injury. The defense strongly contested the closed head injury claim, and the associated permanent disability resulting from the head injury. Trial lasted for four weeks. Plaintiff sought in excess of $6 million at trial, and the jury returned a verdict for all defendants. DeWeese v. Graham, Christian County, Illinois. (Medical malpractice claim for $500,000.00. Result: jury verdict for defense.) In this malpractice case, the plaintiff received treatment from Dr. Graham to eliminate an intractable plantar keratosis under the fourth and fifth metatarsal heads of her left foot. Dr. Graham performed osteotomy procedures on the fourth and fifth metatarsals. Plaintiff had some protracted healing, which the defense argued was due chiefly to her diabetic condition. She also developed some post-operative infection, and an entrapment of the superior perineal nerve of the left foot. Consequently, plaintiff claimed damages associated with professional negligence in the treatment by Dr. Graham resulting in constant pain in her left foot that rendered her unable to work for the rest of her life. Plaintiff's damages included $17,000.00 in medical expenses, $156,000.00 in present and future lost wages, and an unspecific amount of damages for pain and suffering, disfigurement and a loss of normal life. Plaintiff asked the jury to return a verdict for $500,000.00. The jury, after deliberation, rendered a verdict in favor of Dr. Graham. Gaines v. Horwitz, St. Louis County, Missouri. (Medical malpractice claim for in excess of $150,000.00. Result: jury verdict for defense.) In this medical malpractice case, our client, Dr. Horwitz, was accused by the plaintiff of performing an Austin bunion procedure improperly. Expert testimony presented by the plaintiff criticized our client for improperly using a screw fixation device, improperly inserting the screw fixation device, performing the osteotomy procedure associated with the Austin bunionectomy improperly and improperly caring for the plaintiff during the post-operative period. The defense denied any deviation from acceptable standards of care with regard to any care and treatment rendered to the plaintiff. The jury rendered a verdict entirely in favor of the defense, finding our client not liable. Larsen v. Dugan, St. Clair County, Illinois. (Medical malpractice claim for $100,000.00. Result: jury verdict for defense.) Plaintiff had surgical correction of a bunion deformity of her right great toe by our client. After surgery, plaintiff experienced a prolonged recovery period, and eventual revision of the surgery by another surgeon. In addition to medical expenses, plaintiff claimed to have been disfigured as a result of the initial surgery. Plaintiff had a fixed and abnormally elevated great toe on her right foot. This caused difficulty walking, and claims of constant pain and discomfort. Plaintiff's retained expert, as well as the subsequent treating physician, testified against our client. The defense of the case was based on a claim that plaintiff had failed to follow doctor's orders during the post-operative period, thus hampering her recovery and reducing the chances of a desirable result. The jury returned a verdict in favor of the defendant. West v. Horwitz, Marion County, Illinois. (Medical malpractice claim for over $100,000.00. Result: jury verdict for defense.) Plaintiff was treated by our client for intractable plantar hyperkeratotic lesion on her right foot. The doctor initially proposed to remove a small bone that was thought to have been causing the lesion, as well as excising the lesion. During the excision procedure, the doctor determined that the bone extraction was not necessary, and closed the wound. More than two weeks after the surgical procedure, plaintiff developed an infection on the base of her right foot at the wound site. This infection, associated with staph aureus, required multiple hospital visits and intravenous antibiotic treatments before it was cured. The plaintiff sued for failure to appropriately diagnose her foot condition and for failure to keep a sterile operating field during the procedure which resulted in her infection. The jury returned a verdict in favor of the defendant. Choura v. AT&T, Inc., St. Clair County, Illinois. (Products liability claim for $117,000.00. Result: jury verdict for defense.) Plaintiff claimed that a telephone manufactured by our client was unreasonably dangerous in that it allowed the phone to ring through its earpiece. Plaintiff claimed hearing loss as a result of a loud ring that came through the earpiece when plaintiff was using the phone. The defense was handicapped since the only assets of the company were insurance due to a bankruptcy of the client several years prior to trial. No defense witnesses were available, and all defenses presented to the jury were necessarily made by way of cross-examination of plaintiff and plaintiff's witnesses. Plaintiff asked the jury to return a verdict in the amount of $117,000.00 and verdict was rendered by the jury in favor of the defendant. In Marion County, Illinois. (Medical malpractice claim for $1.9 million. Result: jury verdict for defense.) Our client, a podiatric surgeon, performed plantar fasciotomy surgery and Achilles tendon lengthening surgery on the right foot of plaintiff. Complications arose, and plaintiff generally alleged that she had a protracted recovery which resulted in reflex sympathetic dystrophy that was not diagnosed in a timely fashion. Plaintiff underwent a subsequent surgery to her Achilles tendon, and also underwent a procedure to permanently insert a spinal cord stimulator to address the chronic reflex sympathetic dystrophy. The defense was based upon a denial of any deviation of acceptable standards of podiatric care, and a denial of proximate cause. After deliberation, the jury returned a verdict in favor of defendant. Knysak v. Shelter, St. Clair County, Illinois. (Breach of contract claim for $60,000.00 in compensatory damages and unspecified punitive damages. Result: partial jury verdict in favor of the defense, additional award in favor of plaintiff overturned on appeal.) The Plaintiff sued the defendant insurance company under a breach of contract theory, and under the statutory theory of unreasonable and vexatious delay for payment, in addition to a claim for punitive damages pursuant to intentional infliction of emotional distress in connection with the insurance company's denial of the plaintiff's medical benefits claim under a policy of health insurance. On the second day of trial the Court directed a verdict in favor of the insurance company on the unreasonable and vexatious delay count but concluded the breach of contract counts and intentional infliction of emotional distress count should go to a jury. The plaintiff asked the jury to return a verdict for $60,000.00 in compensatory damages, and an unlimited amount of punitive damages. The jury rendered a verdict in favor of plaintiff on the breach of contract count for approximately $18,000.00 and on the intentional inflection of emotional distress count of $32,000.00 and awarded no punitive damages. The award of $32,000 was overturned on appeal. Transcraft v. Galvin, U.S. District Court for the Southern District of Illinois. (Legal malpractice claim for $19 million. Result: verdict of $1 million overturned on appeal.) Plaintiff brought a claim against our client, a law firm, for failure to properly represent them in a products liability lawsuit. Among plaintiff's claim of damages was the inability to purchase insurance at competitive rates due to the adverse loss consequences of the products liability verdict rendered against it. Plaintiff, a large truck manufacturing concern, was forced to become self-insured and experienced expenses associated with the defense of other claims as a result. Claims were also made about reduced profitability of the plaintiff as a result of the adverse verdict. Plaintiff asked the jury for $19 million in compensatory damages, and an unspecified amount of punitive damages. Trial was held for six weeks. On appeal to the United States Seventh Circuit Court of Appeals, the verdict was overturned in its entirety and remanded to the trial court with instructions that the several claims of malpractice made against our client should never have gone to the jury and the directed verdict motions made by the defense should have been granted. Leavell v. Sharp, United States Bankruptcy Court, Southern District of Illinois. (Legal malpractice claim for unspecified damages. Result: judgment for $5,400.00.) The defendant, a lawyer, represented the trustee of a bankruptcy estate of a Southern Illinois businessman. The businessman, the debtor, filed a claim against the attorney for breach of fiduciary duty and malpractice in connection with his representation of the trustee and allegations that the large bankruptcy estate was not properly protected and conserved on behalf of the bankruptcy debtor. Trial proceeded before the bankruptcy judge. At the conclusion of the trial, only a portion of the lawyer's fee bill was reduced and all other relief requested by plaintiff was denied. Plaintiff was awarded $5,400. No damages were awarded for breach of fiduciary duty or professional negligence. Boyer v. McMeen, Jackson County, Illinois. (Legal malpractice/tortuous interference/conspiracy claim for $8 million. Result: verdict for $112,000.00.) Our client, a lawyer, represented a Southern Illinois bank and made various recommendations to bank officers regarding the discharge of the bank's President. Pursuant to an employment contract, the plaintiff sought approximately $185,000.00 in compensatory damages and $8 million in punitive damages. After 31 days of trial, the Court eventually threw out the punitive damage claims, and reduced the plaintiff's compensatory damage claim to $122,000.00. Verdict was rendered jointly and severally against five defendants for a total $112,000.00. Robinson v. Halter, St. Clair County, Illinois. (Personal injury claim for $750,000.00. Result: verdict for approximately $63,000.00.) The plaintiff was accidentally shot in the hand by our client, suffering injuries to the hand including the shattering of two bones and permanent weakness and reduced range of motion. Complicating these injuries was the fact that plaintiff had a pre-existing injury to his legs that required him to ambulate on crutches for the remainder of his life, and his use of these crutches was impaired by the gunshot wound. Plaintiff had formerly been a police officer, and, in part, based upon this training, the jury was persuaded that plaintiff had been contributorily negligent in putting himself in harm's way while the defendant was practicing with the firearm, significantly reducing the verdict in favor of plaintiff to only $63,000.00. Plaintiff had asked the jury to return a verdict for $750,000.00. "Practical Considerations in Defending Medical Malpractice Claims," Forest Park Hospital Podiatric Residency Program, St. Louis, Missouri, September 2004. "'Forms' of Communication: Improving Record Keeping and Office Systems." Midwest Podiatry Conference, Chicago, Illinois, March 2002. "Litigating the Class Action in Illinois: Defense Perspective in Class Action Litigation." National Business Institute Seminar, Collinsville, Illinois, May 2001. "Litigating the Class Action in Illinois: Ethical Considerations." National Business Institute Seminar, Collinsville, Illinois, May 2001. "Steering a Safer Path." CNA/Pearl Risk Management Seminar, Gateway Convention Center, Collinsville, Illinois, May 2001. "Outline of Litigation Do's and Don'ts." Illinois Chiropractic Society Spring Convention, Lincolnshire, Illinois, March 2001. "'I've Been Served with a Summons—Now What?' A General Overview of the Litigation Experience." PICA/PACO Presentation to Insured Podiatrists, Champaign, Illinois, October 1999. "Agents/Brokers' Liability to Other Agents and Insureds." Hinshaw & Culbertson LLP Chicago Insurance Symposium, October 1995. "Practice in Illinois Courts: Tort Reform—Its Tentacles Are Everywhere." The Bar Association of Metropolitan St. Louis Seminar, June 1995. "Kotecki, Third Party Liability, and the Rights of the Workers' Compensation Lienholder." Indianapolis Insurance Seminar, September 1994. "The Kotecki Doctrine—Its Impact on Workers' Compensation and Third Party Liability Practice." Missouri/Illinois Insurance Seminar, September 1993. "How the Kotecki v. Cyclops Case Affects the Role of a Paralegal," Southwestern Illinois Paralegal Association Seminar, June 1993. "Kotecki v. Cyclops Welding Corporation: Analyzing its Effect on Third Party Practice," St. Paul Insurance Company Seminar, August 1992. Litigating the Class Action Lawsuit in Illinois—Defense Perspective in Class Action Litigation, May 17, 2001. Litigating the Class Action Lawsuit in Illinois—Ethical Considerations, May 17, 2001. IICLE: Initiating and Responding to the Action, October 20, 1997. Agent’s /Broker’s Liability to Other Agents and Insureds, October 13, 1995. Kotecki, Third Party Liability, And the Rights of the Workers’ Compensation Lienholder, September 15,1994. The Kotecki Doctrine - Its Impact on Workers’ Compensation and Third Party Liability Practice, September 23,1993.